New Jura office coffee machine coming soon! 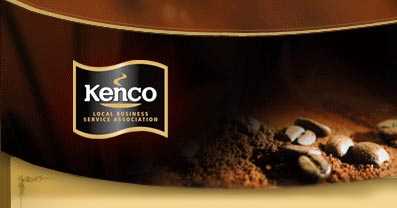 Kenco Local Business Service are delighted to announce the upcoming arrival of the GIGA X3 office coffee machine. The smaller brother of the Jura GIGA X7, X8 and X9 coffee machines the GIGA X3 looks as if it will offer many of the drinks options as the larger machines but at a reduced cost. For a sneak peak have a look at the Jura website. The stylish and innovative Jura GIGA range of equipment are all ideal as office coffee machines for the more discerning customer. They offer outstanding quality coffee (particularly when used in conjunction with the new Carte Noire Professional bean) including cappuccinos, lattes, espresso, americano and the ability to produce two drinks at a time as well as steamed or frothed milk. They are easy to use and remarkably straightforward to clean given that they all use fresh milk. Typically fresh milk systems are more problematic to maintain but the intuitive TFT screen on the GIGA range walk the user through the cleaning cycles making the process as easy as possible. All the drinks are also easily customized both in terms of strength and size in order to suit the customers requirements. The thermal-block heating systems used in these machines allow for almost instantaneous heating and recovery times between drinks. Flexible term rental or purchase deals are available on all of this equipment. Full service cover is always included as is delivery, installation and staff training. 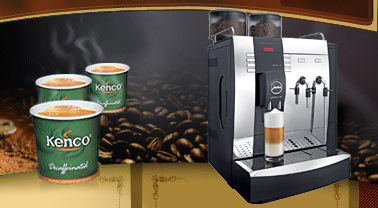 A wide range of optional extras including milk fridges, cup warmers, trolleys, disposable cups and crockery are all available to complete the offering from these stylish coffee makers. If advice as to which Jura may be suitable for the office is required then call 0845 061 1122 and an experienced coffee consultant can be arranged to visit your business in order to offer advice as to the best system for you. This entry was posted in Coffee machine and tagged bean to cup coffee machines, Jura Coffee Machine Supplier, office coffee machine supplier. Bookmark the permalink.